BROWN BAG FILMS is an Irish company behind award-winning, internationally successful animated shows like Doc McStuffins (if you’ve a child, you’ll know this show well), the Octonauts, and shorts like Give Up Yer Aul Sins. A trip around their offices showed us that it takes a HUGE amount of work to create every little piece of these shows. Creating the characters isn’t just a matter of scribbling down an idea, and colouring it in. 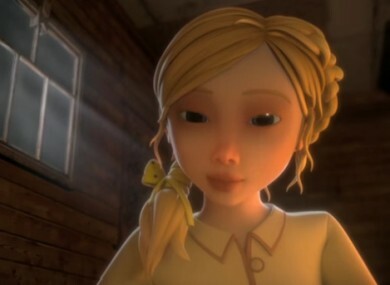 For a volunteer project led by Brown Bag employee Damien O’Connor, staff worked in their free time to create a stunning short called Anya to help raise money for To Russia With Love. How long did it take them to take this nine-second clip from script to screen? For more on how Brown Bag Films works, read our interview with O’Connor about the animation process (and find out his tips on how to get into the business). Email “Animation secrets: You won't believe how long it takes to create a nine-second clip*”. Feedback on “Animation secrets: You won't believe how long it takes to create a nine-second clip*”.